CommuniTech is a non-profit student organization at the University of Pennsylvania that aims to assist neighborhoods in need by supplying them with computers and teaching technology skills to their residents. Our efforts are based upon the recognition that technology has quickly become a central facet of everyday life. It has not only become an essential tool for school and business, but also a gateway to knowledge and new opportunities. This modern society, however, has the capacity to leave behind those without access to computers or the training to use them. Studies confirm the growing gap between those with access to technology like the Internet and computers and those without access. This digital divide is what our organization is working to combat. Through our teaching, refurbishment, and installation projects, we strive to spread computer literacy not only locally but also globally. Although we are an organization based in Philadelphia, our projects in locations such as New Orleans, Ghana, Cameroon, and India have global impact. CommuniTech is a unique initiative in that it is an entirely student-driven community outreach group and fosters one of the largest footprints of any organization at Penn, tackling the challenges of bridging the digital divide one project and one person at a time. 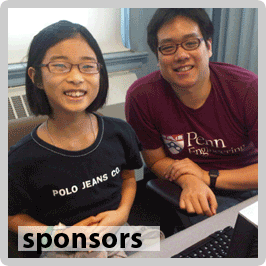 Penn CommuniTech is a nonprofit community organization focused on providing free service to the community. Penn CommuniTech actively seeks out new members interested in serving the local community. Activities that students can easily be involved in include our on-campus computer mentoring program, off-campus computer workshops, and local computer installs. Note that no advanced computer background is needed for or expected of students to participate in these activities. A simple and basic knowledge of Microsoft Word, PowerPoint, and Excel is more than sufficient, as our focus is to teach the basics of computer applications (such as turning on a computer or using email). If you are a student at the University of Pennsylvania who is interested in learning more about CommuniTech and getting involved, please feel free to contact us at communitech@gmail.com. To maintain our nonprofit commitment to serving the community, we would truly appreciate it if you considered donating to CommuniTech. 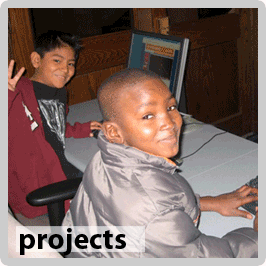 Our local mentoring program and international projects thrive on your support! We primarily process computer hardware donations, but we are happy to accept help in any form, be it financial support or something else. Rest assured that all hard disks and other data media will be wiped according to NSA standards as soon as we receive them. If you are uncomfortable with entrusting us with your data destruction, please erase it yourself or simply remove it from the system. For small donations, we would prefer that you work with us to arrange a time to drop them off at our storage facility (35th and Sansom Streets, Philadelphia). For larger donations, we may be able to organize a pickup at your facility, thanks to the kindness of our sponsor, the Civic House of the University of Pennsylvania. Please contact us and we will be in touch. If requested in advance, we will be able to provide with you a receipt for tax deduction purposes.